Description: Cerebral Palsy (CP) is a group of disorders affecting the development of movement and posture and is characterized by many functional impairments of which include poor balance, difficulties in gait and deterioration of ambulatory ability over time. Traditional rehabilitation and motor learning approaches in CP are generally motor-centric focusing on techniques to ameliorate musculoskeletal and motor impairments. It is unknown if impaired somatosensory processing can be modulated in children with CP to enhance postural control. 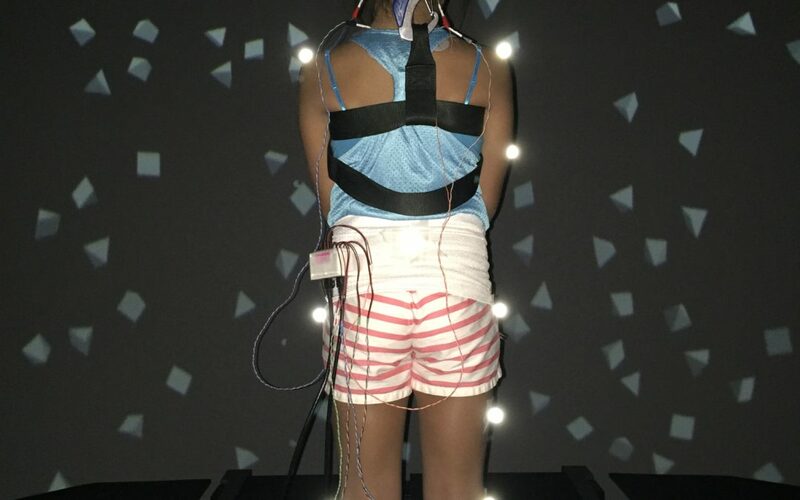 This project uses a sensor fusion paradigm to investigate potential deficits in the dynamic integration of visual, vestibular and proprioceptive modalities that contribute to balance. Stochastic resonance (SR) stimulation, which has been shown to reduce postural sway in individuals with proprioceptive deficits, will then be used to potentiate the effects of existing treatment strategies for improving balance and motor control. Hwang S, Agada P, Kiemel T, Jeka JJ, “The interplay between the three sensory modalities during standing,” Neuroscience 2013, Society for Neuroscience, U.S.A., 2013. Hwang S, Agada P, Kiemel T, Jeka JJ, “Dynamic Reweighting of Three Modalities for Sensor Fusion,” PLoS ONE, Vol. 9, No. 1, e88132. doi:10.1371/journal.pone.0088132, 2014.